So far this is the selects line up. They were not advertised as apart of the selects line though they had a 35th anniversary subline packaging. They're we're not advertised as apart of the selects line though they had a 35th anniversary subline packaging. So cool not only do we have 3 more mystery figures. Ah, i see. There's an reason why they made a Barricade using Smokescreen's head. Definitely pickin him up. Diggin the Cybertronian numbers! God damnit we already have a good Smokescreen! It can do more than this one and also looks better. They had the perfect excuse to retool the chest/alt mode to be boxier and better match the rest of the body. I'm content with my Universe Deluxe still, but at least this means he won't be taking up a slot in WFC 2 or 3's mainline deluxe offerings as an obvious repaint like I thought he would be. Happy for folks that want a full set of Datsun Dudes in this mold though, I'll be grabbing Barricade only right now. Maybe because this guy is just a retool while Sideswipe is, at least for now, a unique mold? All I need now is the preorder to go up. Want. Much better than Prowl. that head is based on Barricade\'s mold. orangeitis Note to self: Stop mechsplaining, Orange. Stop it. This new one is his Cybertronian mode. Yes! Want no need right now. Between him, Prowl, & Barricade I just need Bluestreak to complete the set. It will feel so good to replace CW Smokescreen on the shelf. 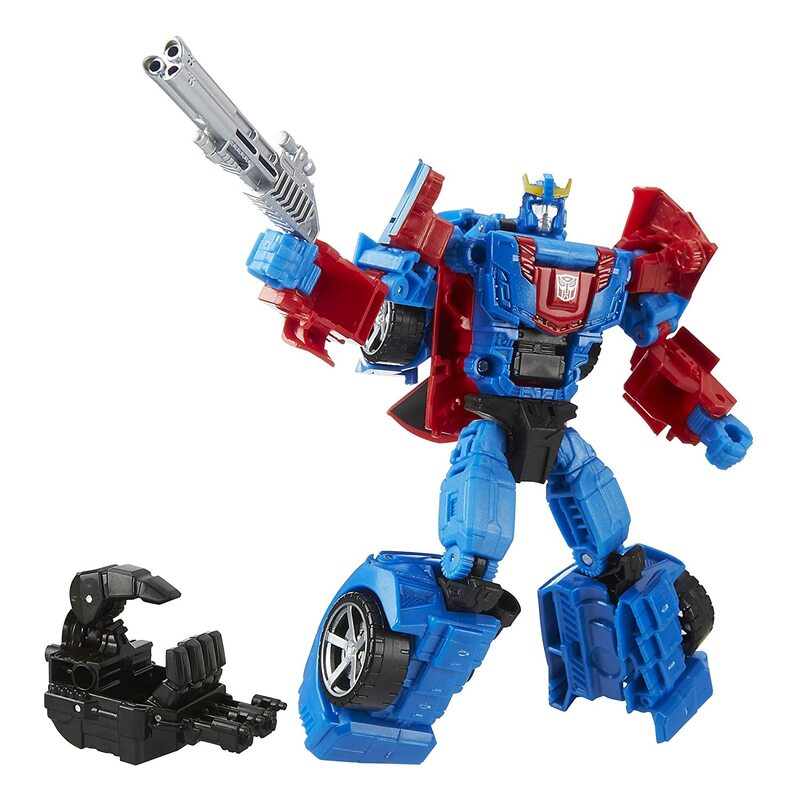 And while I like Combiner Wars Smokescreen, it’s not a good representation of Smokescreen. Now, how long until we get Bluestreak? Bluestreak is coming in the 35th anniversary siege subline.